Brian Lynn Mandel, age 50, of Effingham, Illinois passed away surrounded by his loving family at 6:52 p.m. Sunday, November 11, 2018 at Carle Foundation Hospital in Urbana, Illinois. Funeral service will be at 7:30 p.m. Saturday, November 17, 2018 at Pagel Funeral Homes in Edgewood, Illinois. Pastor Carol Johnson will be officiating. There will be a visitation, prior to the service from 5 to 7:30 p.m. Burial will be at Mason Cemetery at a later date. In lieu of flowers, memorials may go to the family, Mason Cemetery or the donor’s choice. Brian was born on June 29, 1968 in Elmhurst, Illinois, the son of Richard and Beverly (Parks) Mandel. He was a graduate from Effingham High School. 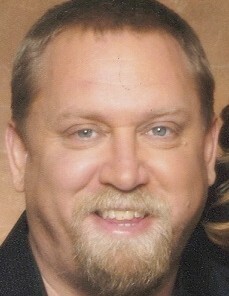 Brian served in the United States Navy from 1987-1991. He served on the USS Jarrett and in the Gulf War/ Operation Desert Storm war from 1990-1991. He attended Windsor School of Nursing and later went on to Concord Career Institute Vocational Nursing Program where he received his bachelor’s in nursing. He was a nurse and instructor at different high schools in California for 20 years and was nominated “Teacher of the Year” in 2010. He loved antiquing, horse racing and being a real jokester and making everybody laugh. He is survived by his mother, Beverly Mandel of Effingham, Illinois; daughter, Jessie Lynn Mandel (fiancé Anthony) of Monrovia, California; Jessie’s mother, Lisa Berry Mandel of Monrovia, California; brother, Scott Mandel (wife Kim) of Swansboro, North Carolina; nieces, Alexis and Aislinn Mandel of Swansboro, North Carolina; many aunts, uncles, cousins and friends. He was preceded in death by his father, Richard Mandel and maternal grandparents, Mam and Pap Parks.